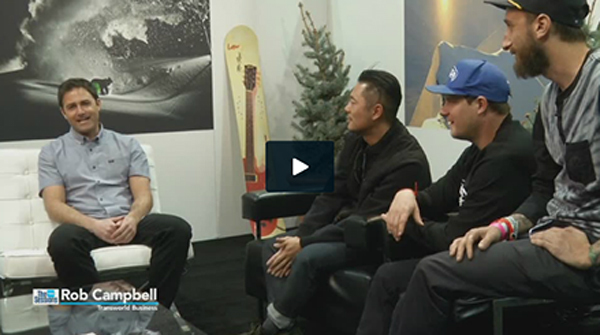 SnowSports Industries America (SIA), the snow sports industry’s member-owned trade association, has partnered with TransWorld Business to produce -- The Sessions @ SIA -- an editorially curated series of video interviews shot at the 2015 SIA Snow Show (Jan. 29 – Feb. 1) at Denver’s Colorado Convention Center. Hosted by the editors of The Enthusiast Network’s (TEN) market-leading titles, including TransWorld Snowboarding, Snowboarder and TransWorld Business, The Sessions interviews will be distributed bi-weekly throughout the summer months through these channels, as well as, SIA’s digital communications and social media outlets, and at SIAsnowshow.com/thesessions. The first video to roll out will feature Westlife Distribution President and CEO Mike West, Brent Sandor, 686 Director of Marketing, and Patrick McCarthy, 686 Team Manager. “I’m stoked that SIA and TWB are providing this platform for all the people that live and breathe snowboarding,” West said. “At its core, snowboarding is a lifestyle driven by unique people and personalities in the spirit of having fun. At the Snow Show, we believe that the first step is properly communicating the message to the industry and consumer as a whole. I’m personally stoked that both TEN and SIA are coming together to rally the troops in a live format. 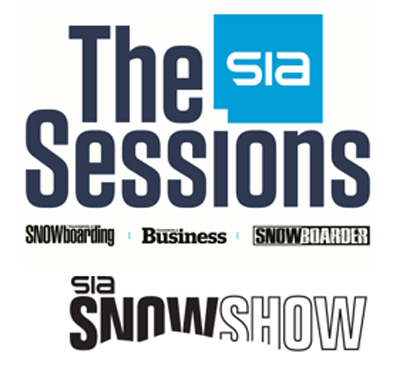 If your interests involve shredding, brand building, business and working with the best brands, retailers and people, The Sessions @ SIA is where it happens,” West added. “The editorial staff for TransWorld Snowboarding, Snowboarder, and TransWorld Business have always done an excellent job covering the Snow Show -- and this will be another great resource for anyone looking for a new perspective into the industry. Snowboarding’s key players are featured, lending creative insight into the state of snowboard for today, the coming season, and the years to come,” said Mary Cecile Neville, SIA Marketing Director. “Our partnership with TEN is very exciting -- it allows us to produce unique content featuring insights and inspiration from industry leaders that will help our audience meet their own specific visions and goals,” Neville added. “We’re excited to present The Sessions to the snow sports industry. The interviews feature some our most inspiring industry leaders, including founders, athletes, retailers, and top execs, revealing the passion behind their businesses, what’s driving innovation, and sharing valuable insight on the state of our sport,” commented Kailee Bradstreet, TransWorld Business Editor-In-Chief.